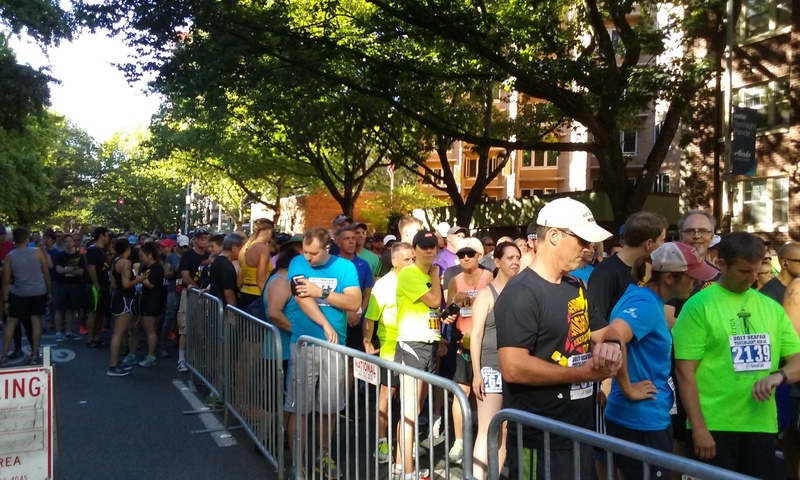 2017 Seafair Torchlight 8K Run: My last hurrah? 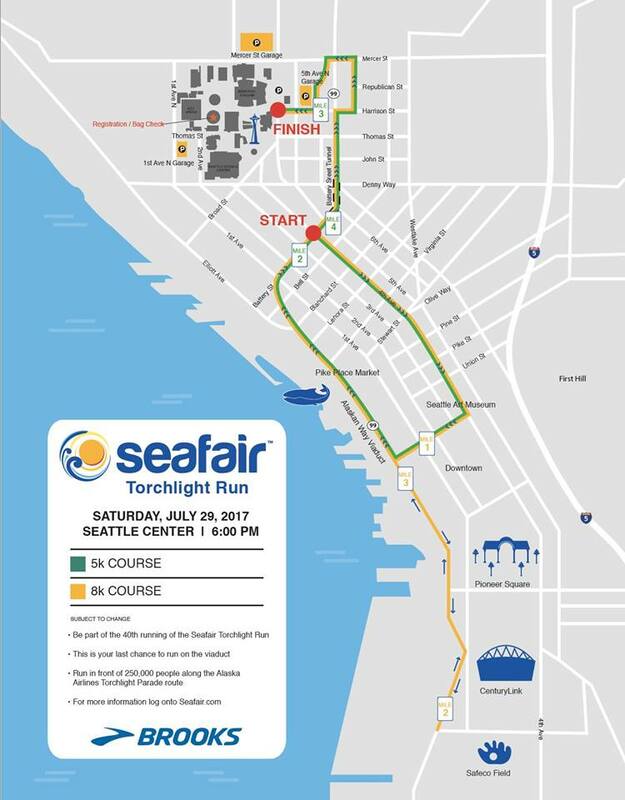 My 213th road run was the Seafair Torchlight 8K Run in downtown Seattle on Saturday night, July 29; it takes place just before the annual Torchlight parade. This has always been one of my favorite races, as I’ve run it 12 times now. I’m just hoping it’s not my last race. But it might be. The condition of my left ankle has worsened in recent weeks, and I am about to schedule ankle replacement surgery to take place in the next month or so. My ankle doctor/surgeon, Dr. Anthony Lo, this past week recommended it over the simpler repair and clean-up surgery that he did for me six years ago. He said my ankle joint is toast, just as he expected it would be in 2017. Having ankle replacement surgery is problematic. I can physically run again, but it is not recommended. Think of it as driving while texting. The ankle replacement is a prosthetic contraption made of metal and other materials. These parts can loosen under too much stress — for example, trying to run every week — and loose parts will cause pain and require another surgery. Walking, swimming, bicycling and elliptical are better ways for me to stay fit. I do all of these, except for swimming, which I can start doing more of. Would I sneak in a 5K here or there? I don’t know. Might be risky. At any rate, I ran the Torchlight 8K Run as if it would be my last race for awhile. I ran slow and gingerly, taking a steep downhill very carefully, and avoided ruts and potholes on downtown streets and the Alaskan Way Viaduct. But I must admit that running cautiously and carefully to avoid getting hurt is not the most satisfying way to do a race. So I did feel like this was the end of something. It was my eighth race this year, and more interestingly, my 76th road run since my last surgery in 2011. That includes running or walking one marathon and nine half-marathons. I had that 2011 surgery because nearly a decade of marathon running had aggravated the ankle bone fracture I’d suffered in a car accident in 1975. But truth be told, as I was training for and running those 20 marathons, I didn’t realize I was causing any destruction. Stuff happens. But after that surgery, I remember my ankle surgeon’s words when I visited him for my final post-surgery checkup. I had given up on the idea or running again. “Go pound on it,” he said. “Your ankle is good. You can’t hurt it.” He was proud of his work and was telling me to give running a try. However, I also remember him telling me not to attempt to run marathons again, because of all the training involved. He said I might need another surgery in two to five years, and marathon training would speed up that requirement for a new operation. For the most part, I did give up marathons — I did one more, in 2012, my 21st, but mostly walked it. So here we are — six years later. I went one year beyond his stated range. Would I need this surgery had I not been running at all? Hard to say. Had I become an avid swimmer, maybe my ankle is in great shape at this time. It was fun to meet up with Microsoft friends and fellow runners Jonathan Stutz and Jen Gaudette prior to the Torchlight Run. Congrats on your races, you two! Sorry that I could not find you guys at the starting line, so I missed your pre-race picture. The Torchlight run was apparently the last chance to run on the Alaskan Way Viaduct, which will come down soon. So at least I can say I was part of it. I will miss doing runs with friends like this and teammates from work. But I will do more walking (I already am), and will continue doing bicycle rides (my next one with be my 32nd since 2011). What’s next? On August 30, I visit the podiatrist who will actually perform the surgery (Dr. Lo will assist). He’ll need to tell me more about what to expect, how to prepare, and physical therapy options afterwards. That’s no way to talk about my poor ankle. I will miss having that joint. 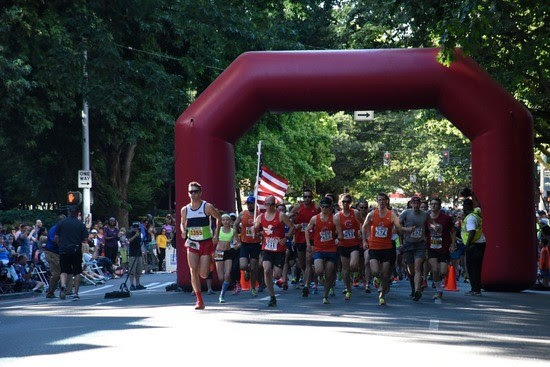 My reign of pain may end after 213 races, including 21 marathons and 38 half-marathons. But I will adjust and move on. 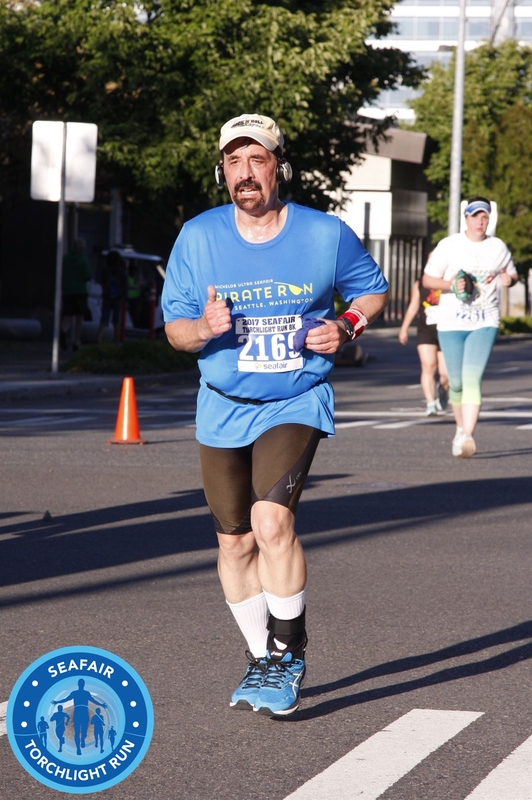 This entry was posted in 8K, Bicycling, Marathons, Running, Seafair Torchlight Run, Seattle Marathon, Walking and tagged 8K, ankle implant, ankle surgery, Bicycling, Dr. Anthony Lo, left ankle, Marathons, physical therapy, Running, Seattle Marathon, Seattle Torchlight Run, Walking. Bookmark the permalink. 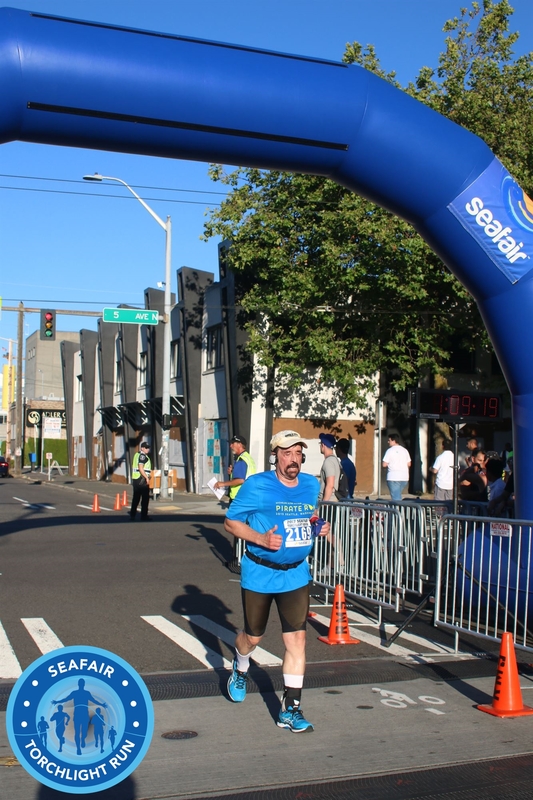 6 Responses to 2017 Seafair Torchlight 8K Run: My last hurrah?